Buying a new car is always tricky, no matter what kind of vehicle you are thinking about purchasing. But the most difficult part of the process is finding the best prices possible. Even if you are considering a luxury vehicle, you are probably in search of the best Porsche Macan GTS pricing available. While it does take some extra work, you can find the car you want at a price you can afford in Metairie, LA. Take a look at some of these tips for driving off in your new ride without paying a fortune. You may want to get your vehicle quickly, but you have to take your time if you want to get the best Porsche Macan GTS pricing possible. It’s important to shop around so you know about the dealerships that have the best offers. While it can be tempting to simply go to one dealership, pick your car out, and drive off that very day, it may not be the best way to shop. Instead, take your time, look around at what different dealerships offer, and then make your final decision. When you buy any car in Metairie, LA, you will have the choice of adding on all types of special features and extra comforts. While you may want to include some of these in your ride, they tend to add a lot to the price you pay. Therefore, if you are looking for the absolute best prices, try to stay away from too many extras. You can still get a beautiful car with all the features you want. Just don’t go overboard. Many car shoppers in Metairie, LA, just want to find a car on their own and call it a day. While you may be able to do your shopping all by yourself, it really helps to have the assistance of a sales representative from the dealership you’re buying from. He or she can help you find the ideal vehicle for the price you want. Don’t turn down this extra help. 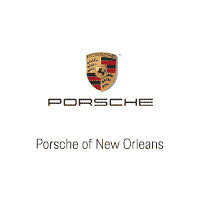 Now that you know how to get the best Porsche Macan GTS pricing around, you need to come to Ray Brandt Porsche to pick up your new vehicle.